A classic party staple, this is one macaroni recipe that should be on your go-to list this holiday month. Macaroni, cheese, ground beef, and hotdogs are ingredients any party goer – from kids to the lolos and lolas—will love. 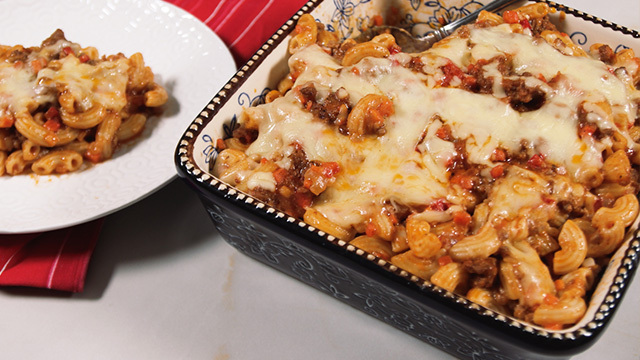 This baked mac is perfect for all kinds of parties scheduled throughout the season. Bring a pot of water, salted, to a boil. Add macaroni, stir, and cook 8 minutes. Drain, and transfer to a large bowl. Set aside. Meanwhile, in a large pot over medium heat, heat oil. Sweat onions until translucent. Add garlic, and stir until fragrant. Add ground beef. Sauté, stirring, until any liquid from the beef has evaporated. Add hotdogs and cook until heated through. Pour in tomato sauce and spaghetti sauce; stir to combine. Season with salt, to taste, and ground black pepper. Transfer macaroni into the pot with the sauce. Using two large spoons, toss to coat evenly.  Dump pasta into a 13-inch by 9-inch glass baking dish and spread into a moderately even layer. Sprinkle mozzarella cheese and quick-melting cheese over top. Place in the preheated oven, and bake for 20 minutes, or until cheese has melted. Remove from oven, and serve while hot. This is a foolproof recipe for a potluck party favorite. You can serve these dishes on Noche Buena or Christmas day! 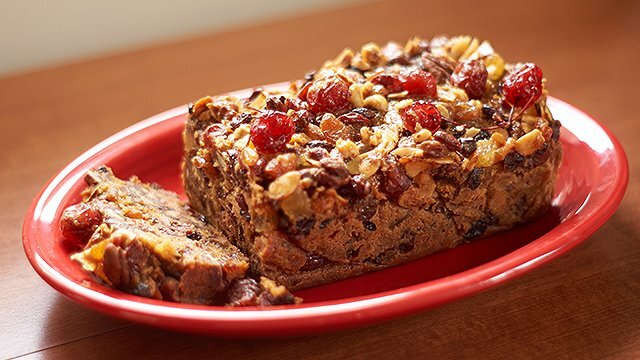 All-Purpose Flour is The Secret Ingredient to Make Great Frosting! 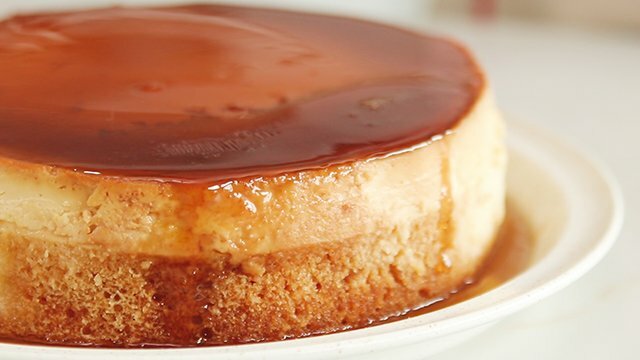 Did You Know That You Can Make This Two-Layer Leche Flan Cake in Just One Pan?